Be My Nounou is an agency certified by the French State, as a result it allows you to deduct a part of your childcare fees from your taxes. Fees for foreign language childcare range from 16 to 29€ per hour after tax deduction. *It will be charged only after validation of your nanny. 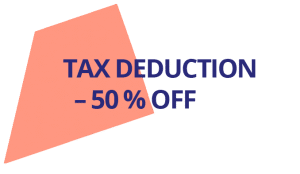 Using Be My Nounou you can benefit from tax deduction or tax credit of 50% of fees spent during the year (respecting the limits). The tax benefit is calculated according to the number of hours you paid for a child caregiver. As a result you may deduce from your spending the help you have received to cover fees for caring for you children at home. (For example, the APA, benefit received for childcare, financial support from your employer). Annual limits of spending are: 12 000€ as a general rule. That limit is raised to 1 500€ (per child minded), without passing the limit of 15 000€. 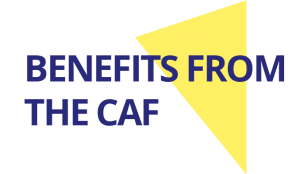 Moreover you can benefit from another aid from the CAF: If one of your children is under 6 years old, CAF offers you a financial support (PAJE) which can go up to 85% of the fees. *That total is increased to 40% if you raise your children alone. Have a child under 6 years old. You can benefit from this aid if your child is cared for at least 16 hours per month. You will still have a minimum of 15% at your charge.